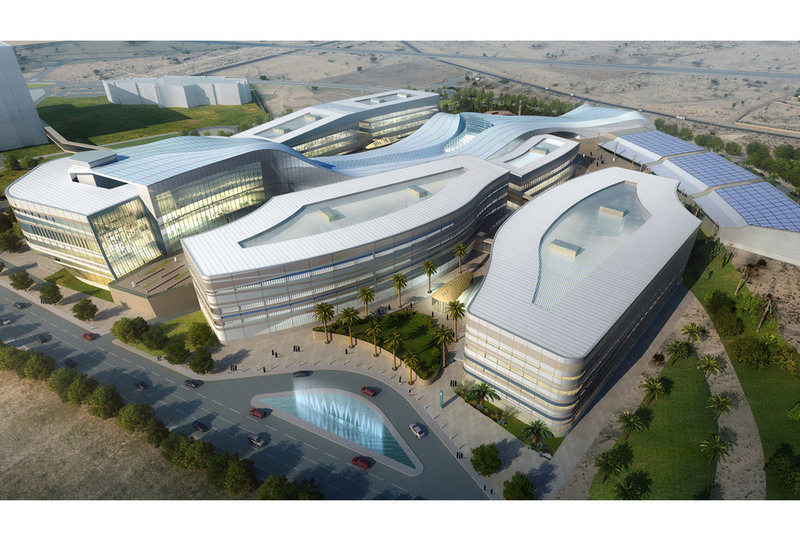 AL AHSA, KSA This is a new medical education center for the University on a new Medical City campus. The complex comprises four separate colleges—the College of Dentistry (with 300 training clinics), the College of Applied Medical Sciences (includes Nursing, Anesthesiology, Laboratory Sciences, Respiratory Therapy and Public Health), the College of Clinical Pharmacy and the College of Medicine. 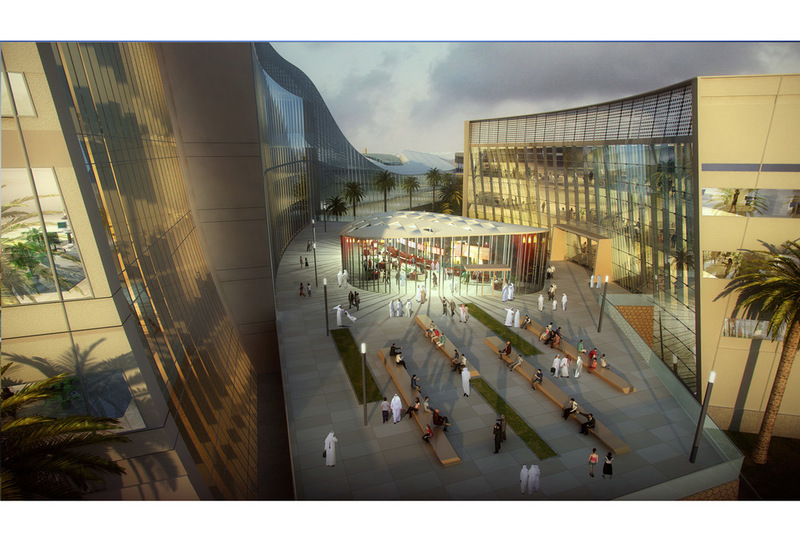 The buildings of the campus are shaped to steer the wind through the spaces between the buildings with the goal of cooling the spaces and the facades of the buildings. To maintain a lower rise vocabulary conducive to the movement of the wind, the shared lab building program has been split into two shorter buildings. 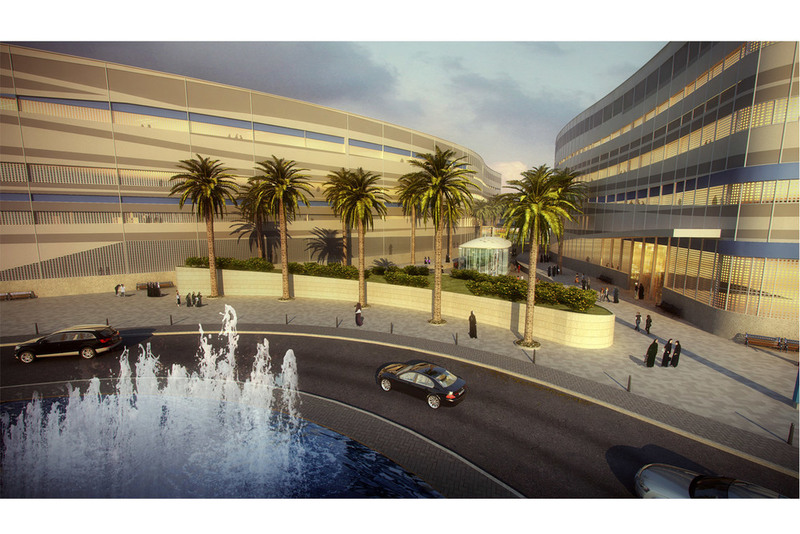 The two Laboratory buildings serve all four colleges with teaching and research labs, vivarium and extensive medical simulation center. The wet labs include biology, chemistry, microbiology, nutritional science and anatomy teaching as well as pharmaceutical research. Dry labs ranged from epidemiology to health management systems. For the King Faisal University with Dar Al-Omran.